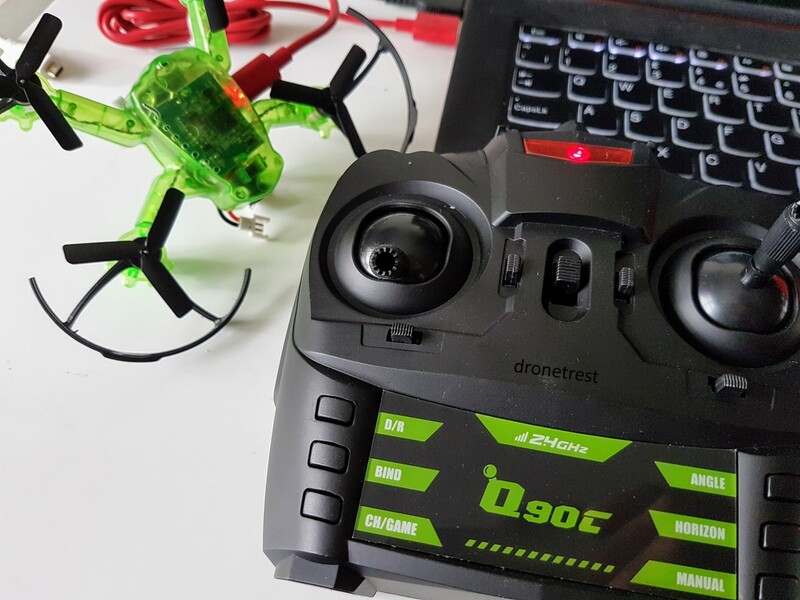 Unlike other beginner drones, the Q90C does not rely on a wifi video signal (that has some serious latency issues), but rather a proper 5.8Ghz FPV video feed. Furthermore, you can view this feed in real time thanks to the optional VR006 FPV goggles. 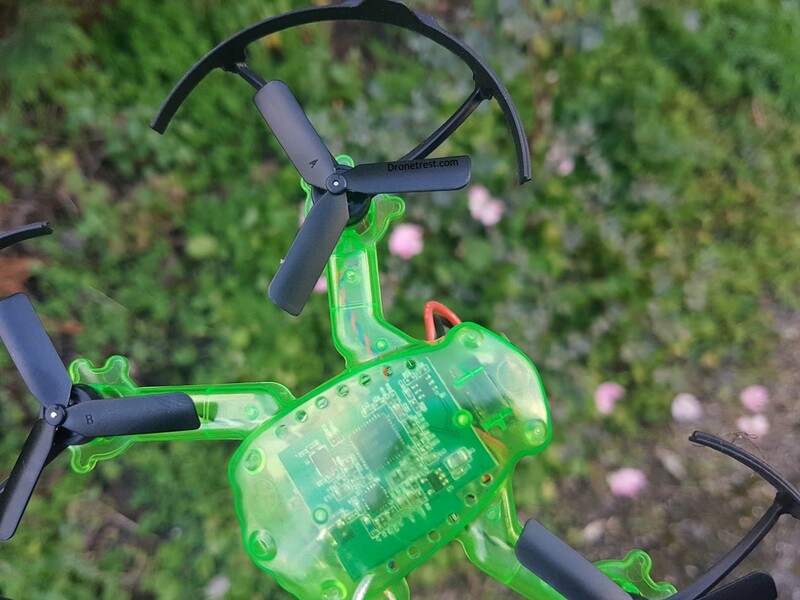 On paper, this quadcopter claims to give anyone a taste for true FPV at a low price with no gimmicky button, or lame wifi app. But the question is, does this offer a true taste of FPV for a beginner, and more importantly is it any good? 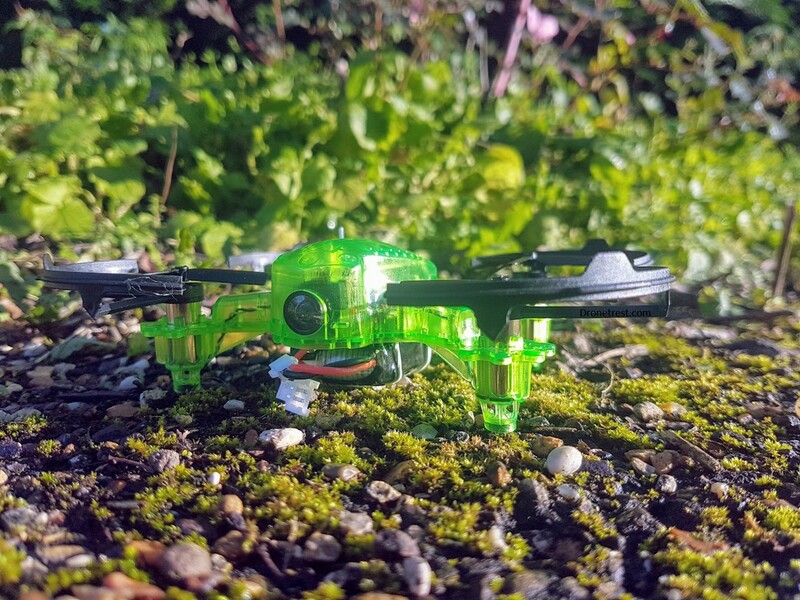 Compared to similar full FPV beginner kits on the market, the flying frog blows them away… This kit is a similar price but has significantly better flight performance. This bundled with the adjustable flight modes make this the ideal kit if you want to get started with FPV. The plastic frame is also surprisingly strong which is a bonus. When you are a competent pilot and upgrade to something more powerful you can even use the VR006 FPV goggles on your next quad. 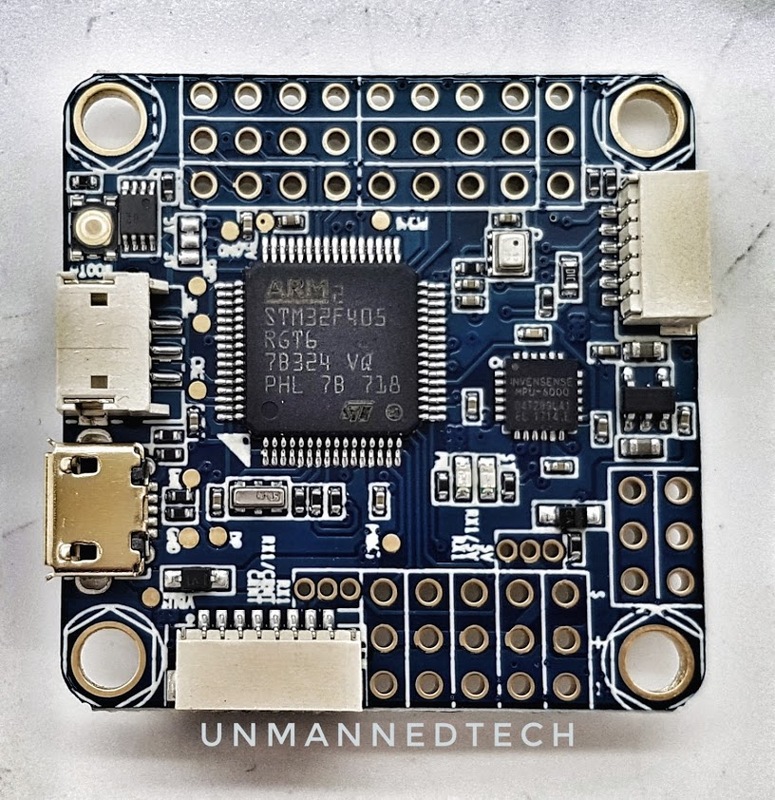 There are a few other beginner FPV kits out on the market like the E013, or tiny whoop, but these kits have now power making them boring to fly (like taking a Prius to a race track). 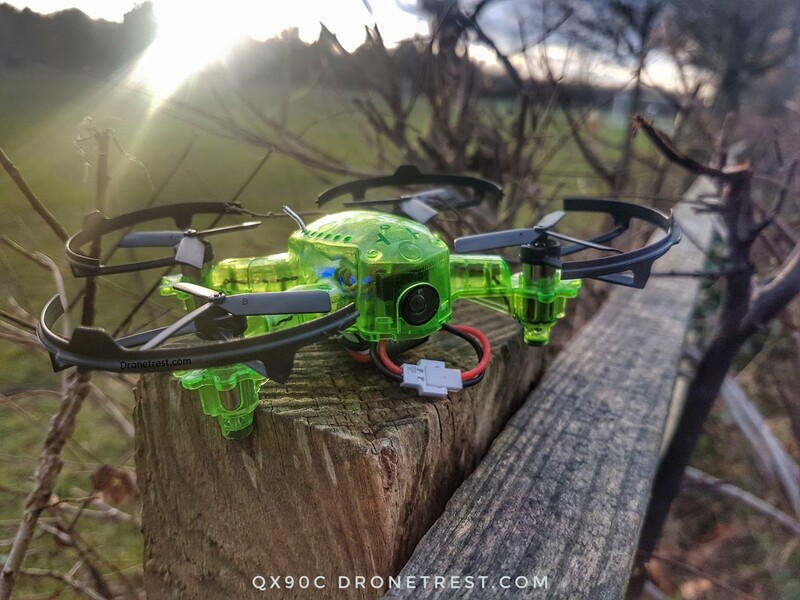 The Q90C, from a kit point of view, has acceptable performance, this is largely due to the higher voltage battery (2S) which give the motors much more punch and acceleration, allowing you to do some freestyle flying with a couple flips thrown in. But this quad is by no means packs a serious punch, so you are not going to be able to do any power loops. It is definitely getting a few extra batteries, as each one will only last for about 5 minutes of flying. So unless you want your fun to end early.. grab a bunch of extra batteries with your order so you can fly a few battery packs one after another. The battery itself is neatly attached via some velcro and elastic band underneath the quad, making it easy to change, whilst still being secure. It also includes 3 rates that you can switch between using the D/R button. 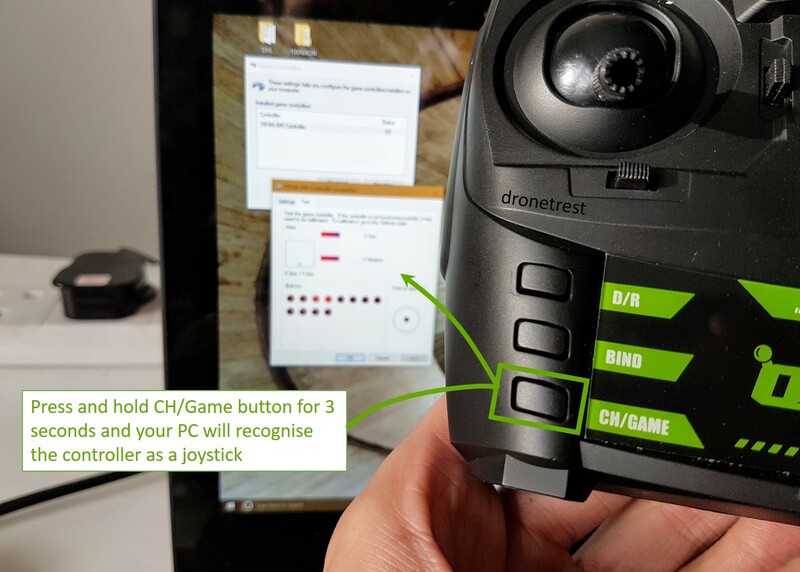 This essentially changes the sensitivity of the quadcopter with the first mode being very sluggish that is great for beginners. As you change between the rates you get quick burst of vibration from the controller, with a single buzz being for the beginner mode and 3 buzzes for the most sensitive setting. The only thing that I found annoying here, is that by default it is always in the first rate, so you need to change it before each flight. 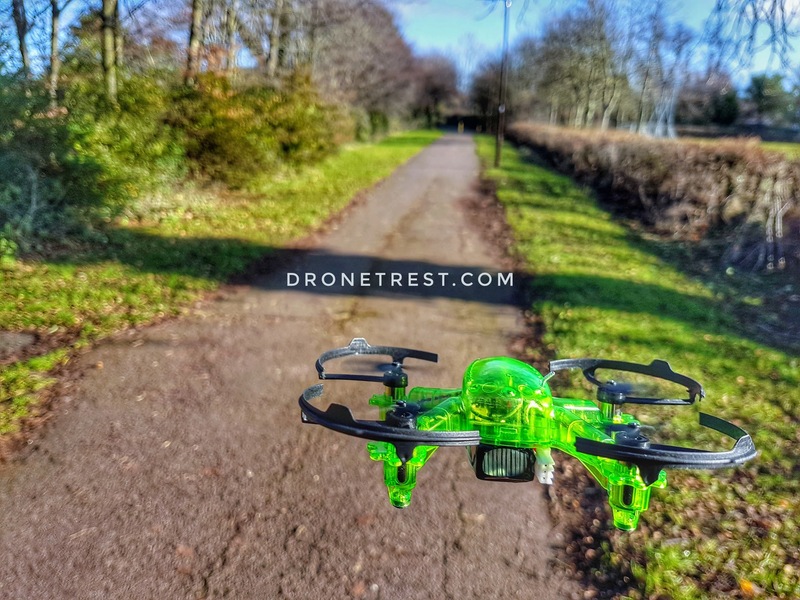 The simulator mode further makes this quad ideal for people wanting to dip their feet into the FPV world. This lets you use the R/C controller with FPV simulator games like DRL simulator (free), or FPV freerider (paid) which is a great way to practice new tricks without destroying your drone in a crash. The way this works is that you plug your flying frog into your PC, and press and hold the game mode button. This lets you use the remote wirelessly to practice your favourite FPV simulator when it is raining outside, or waiting for your batteries to charge! 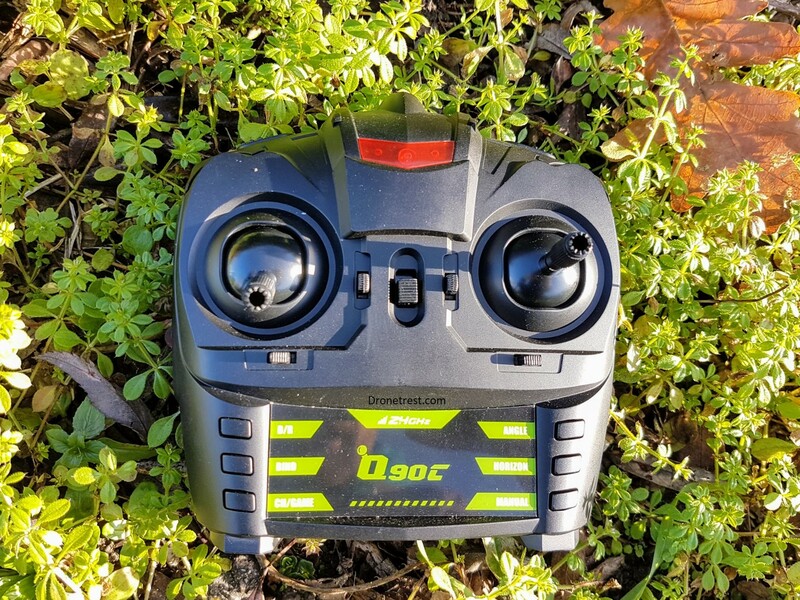 This added feature secures the Q90C as an excellent beginner FPV quadcopter. Just remember when you are done with game mode, you need to press and hold the button again for 3 seconds so it will go back into normal mode. The radio will vibrate when it changes mode. 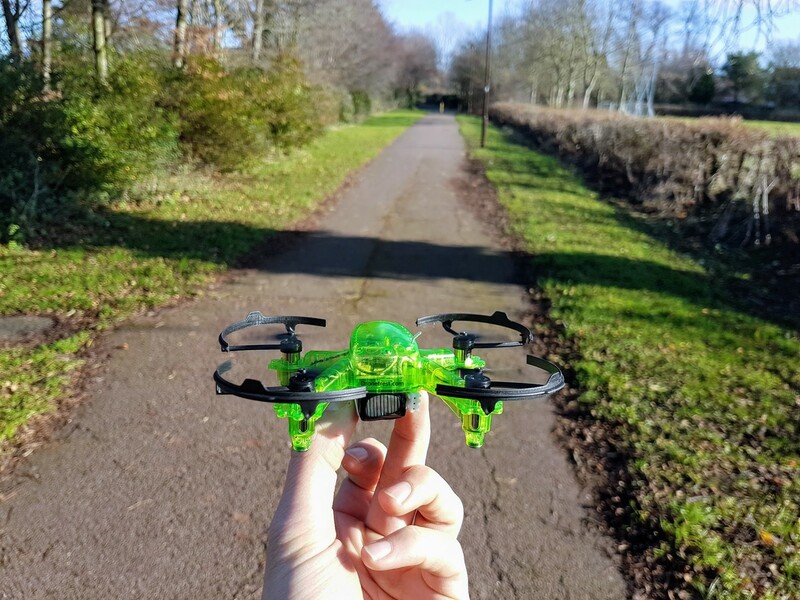 As far as beginner kits go, I would recommend the flying frog to anyone who wants to get a taste for FPV. 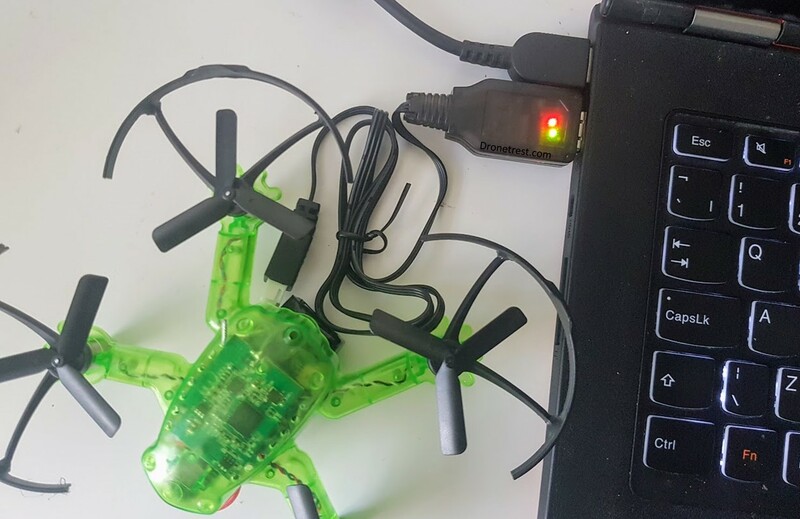 The full kit with the goggles is offered at a reasonable price, and you also get the added bonus of being able to use the R/C controller with your PC to practice on more powerful drones. 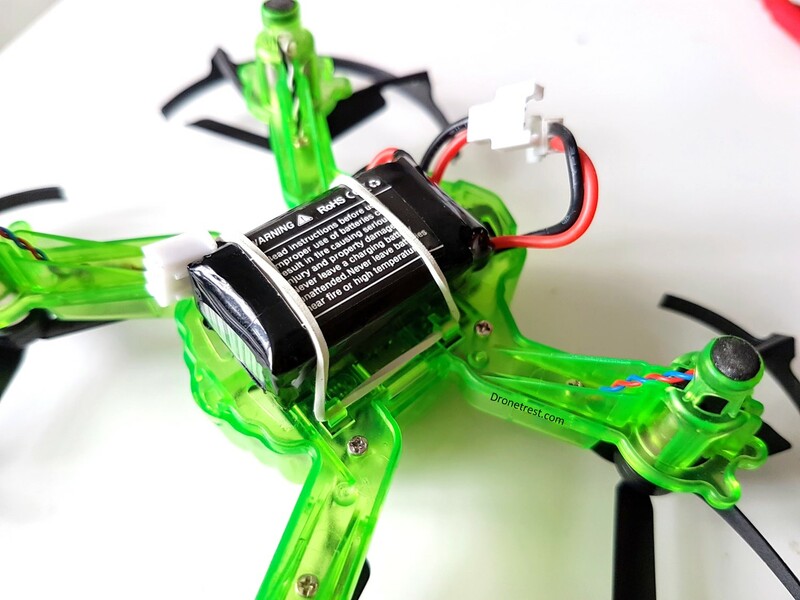 Sure this is not the most powerful FPV quadcopter, but for beginners, you don’t want something too fast. Thanks for reading this article, and hopefully the review was helpful. If you do, please consider buying it from one of the links above, that way we can earn a small commision from each sale to fund this website. If you do end up buying one let us know what you think in the comments below. Or if something was not too clear, or you have any questions also just add them below. 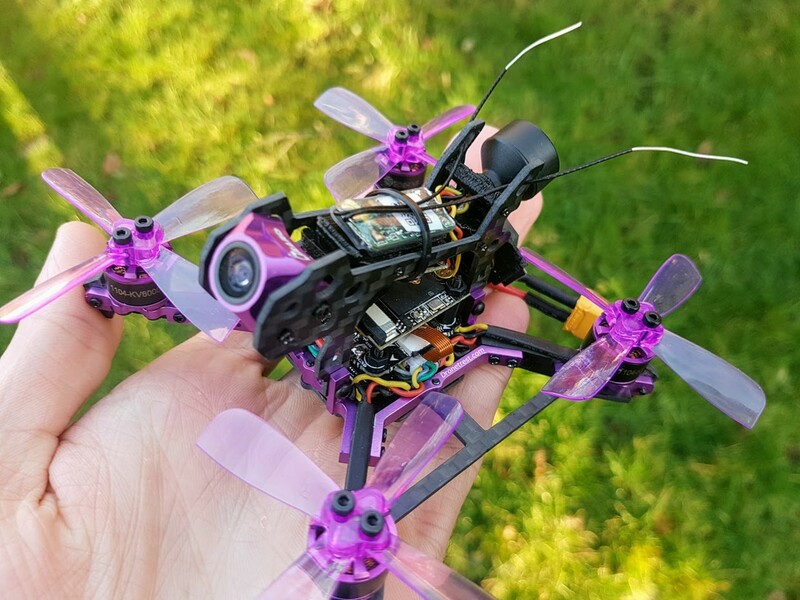 Eachine 🦎 Lizard 105S Review - A Microquad With A 720p DVR!